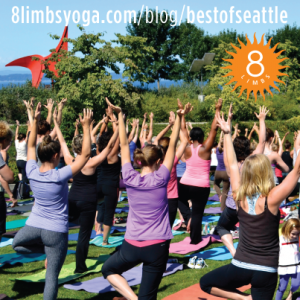 The current 8 Limbs campaign in City Arts Magazine features yogis practicing in some of Seattle’s iconic locations. 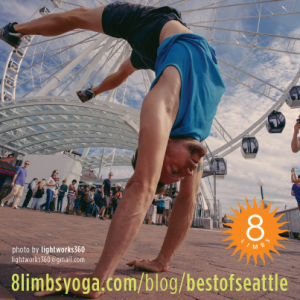 Join us on a tour of our beautiful city! 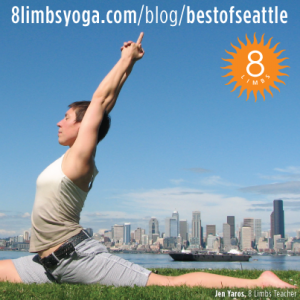 August – 8 Limbs instructor Jen Yaros in Hanumanasana at the West Seattle ferry dock. 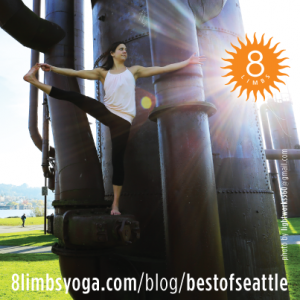 September – Yoga practitioner in Eka Pada Padanguthasana (one hand to big toe pose) at Gasworks Park. 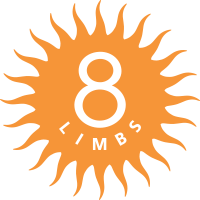 Visit the 8 Limbs Press Page to see how 8 Limbs has collected “best of” awards and articles over our nearly 18 years in operation. And come back to this page every month for updates.